Turkey and Tryptophan Got You Tired? 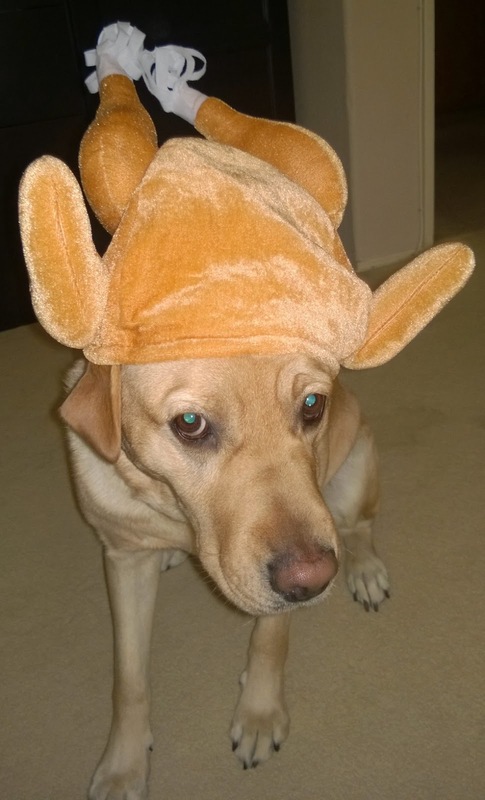 Every year since my first American Thanksgiving, I've heard people gobble about how turkey contains tryptophan and tryptophan makes you sleepy... Thus making it perfectly acceptable to take a nap post the annual Thanksgiving stuffing of the belly. Since it's that time of year, it seems a pertinent time to ponder this proposition. Tryptophan is one of the 20 amino acids (building blocks of protein). Turkey does contain tryptophan, but before you clap the gavel and declare this thought a fact, let's examine some other evidence. Turkey isn't the only meat containing tryptophan; many meats do. In fact cheese, milk, eggs, tofu, seeds and nuts also do. Tryptophan on it's own, on an empty stomach may make one drowsy, but Thanksgiving dinners contain a number of sumptuous offerings beyond straight tryptophan containing turkey. Elevated blood levels of tryptophan doesn't equate to greater synthesis of melatonin. What we are not considering here is sweet. No really, it's dessert. After eating sugars/simple carbohydrates, the body releases insulin (the hormone responsible to storing excess glucose in the liver and muscles). Insulin also causes muscles to store branched chain amino acids. But tryptophan is an aromatic, not branched chain, amino acid. What does it mean? After insulin's done its thing, there's a higher level of tryptophan hanging out in the blood. But again, this doesn't correspond with greater concentrations of melatonin synthesis. The real cause of sleepiness after stuffing substantial amounts of scrumptious sustenance down one's pie hole? Exactly that, overeating. Stretching the small intestines induces sleepiness. More blood is needed there for digestion, therefore there is less blood elsewhere. Think "rest and digest", compared to "fight or flight". Everyone in a developed country not living in a cave can attest to hearing or reading about obesity. Whether it's TV news, the newspaper (paper? ), news on your phone, or NPR (where news matters), basically, obesity is anything but the elephant in the room... So to speak. I generally loath reading articles and commentary about such weighty problems. But (and there's always one), I happened upon some interesting new research worth sharing. 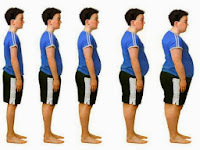 Weight gain is very common during the transition from adolescence to adulthood. This is not surprising; teenagers are used to being able to eat anything and everything at anytime and not gain any weight. 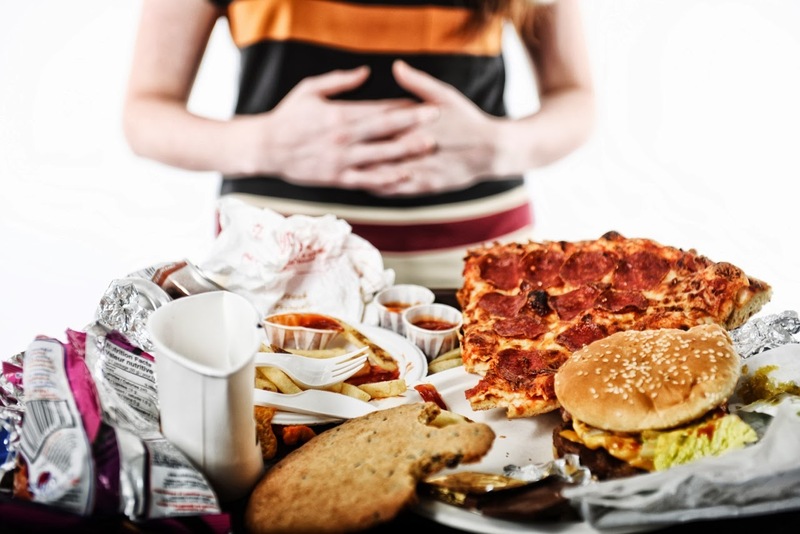 However, when growth slows and inevitably stops, those 5 packets of two-minute noodles followed by a pizza, a can of fluorescent aerosol 'cheese' and a sleeve or two of double-stuffed Oreos, won't aid in keeping that girlish (or boyish) figure. 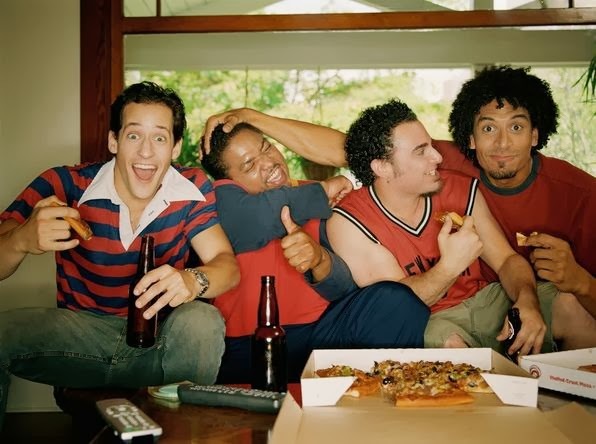 A new, and pretty landmark study followed a large cohort (almost 14,000) of US middle and high school students for 12 years. 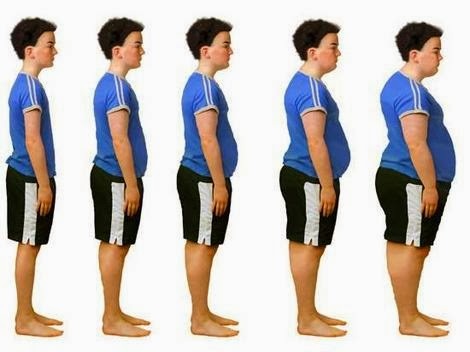 The researchers wanted to assess if BMI trajectories over the 12 years were associated with cardiovascular disease risk and other health markers. So as it turns out, lifestyle and weight trajectories during this transitional period do set the scene for health or health problems down the road. This information will (hopefully) inform parents, policy makers and health care providers to push for education at this critical age, where, let's face it: teens and pregnant women alike would murder a tub of ice cream using a mars bar as a spoon. It's preferable to grow upward, rather than outward. Fresh vs frozen vegetables: A topic that doesn't require much introduction. People commonly tell me fresh is best - whether they say that because they believe it, or because they know I'm a dietitian and feel they're being judged, I know not. People who know me, know I'm a sucker for a good deal and a sucker for some good science. 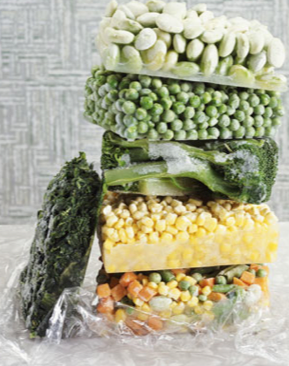 So without further ado, let's talk about why frozen veggies are totally awesome. Some frightfully fascinating history pertaining to frozen foods: Clarence Birdseye developed the quick freeze method in Canada, 1924. His technique involved holding the food under pressure between two metal plates, kept at a chilly -25F (-31C) by evaporation of ammonia. This process is preferable to the slow freeze method which causes the formation of large ice crystals. These crystals rupture the plant's cell walls, causing cell contents to spill out when thawed - leading to texture degradation. No one wants to eat flaccid, droopy, lifeless vegetables... Clarence knew that. The question of nutritional quality often arises when discussing frozen and canned vegetables. But, they are really quite similar to their fresh counterparts. This is because canning and freezing occurs soon after harvest. Fresh veggies on the other hand, can take up to 10 days to get from farm to pie hole, resulting in deterioration of less stable nutrients by up to 50%. 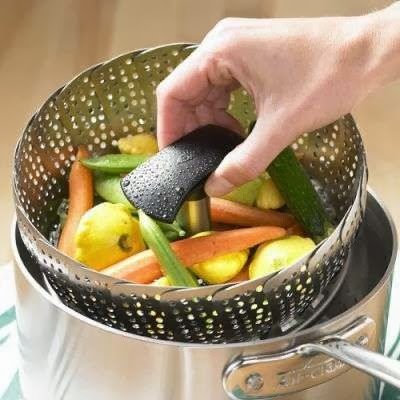 Cooking is important in nutrient retention, and this goes for both fresh and frozen veggies. Extended cooking times or cooking at very high heat causes vitamin loss. Boiling and blanching (flash boiling) are both prime examples of this. Better to cook for a short time via microwave or steaming. Again, unless you're my 92 year old grandpa, no one likes limp, lifeless, flaccid vegetables. So, why are frozen (or canned) veggies so good? A quick note about the canned stuff: They are often processed with salt. The best ways to get around that is by buying the ones with no added salt (read the label) or just rinse well after liberating them. Basically, all veggies are great. 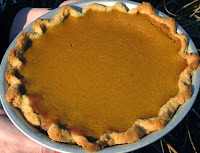 Whether you prefer fresh, frozen, canned or a combination, just put them in your pie hole on a daily basis. I'd say most people who read the health section have read something about 'shopping the perimeter' of the supermarket. You stick to the fresh stuff, nothing from a box, yadda yadda yadda. Yes, this is kind of a good suggestion... But are we really doing our hips and bellies a solid by abstaining from the long and winding (road) intestines of the supermarket? 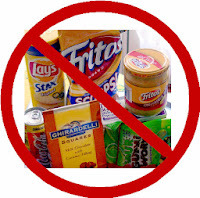 In case anyone's been living under a rock, the premise of shopping the perimeter is that you avoid all the 'naughty' processed and packaged foods that inhabit the center of the supermarket. Instead, your stick to things like fresh meat, eggs, dairy, fruits and veg. While this is a good starting point, it's not a hard and fast truth (kind of how not all vegetarians are healthier than all omnivores). First off, I'd like to point out the perimeter is also home to all those lovely fresh baked cookies, cakes and white breads - often conveniently located nice and close to the entrance. 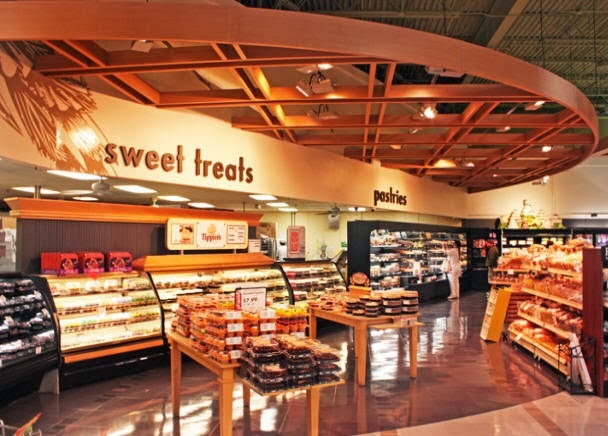 Many supermarkets also have a premade food section housing the likes of sushi, soups, roast meats, deli meats, etc, which is also found along the coveted perimeter. Now, I'm not saying the perimeter is bad, it's not. Fresh fruit, veg, dairy and fresh meat are all great. But so too are things like dried beans, dried pasta, rice, oats, canned fruits/veg, canned fish, frozen meat, frozen fruit/veg, bread, oil, herbs, spices, tea, coffee, baking goods like flour, cocoa powder, nuts, dried fruit, honey and peanut butter (the real stuff that contains: roasted peanuts... the end). All of which live in the bowels of the supermarket. Don't get me wrong, you'll find plenty of crap down the aisles of the supermarket. 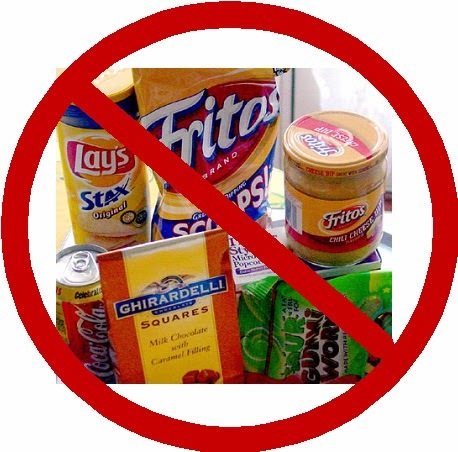 Things like soft drinks, chips, protein bars (uh oh), power bars (oh dear), diet bars (crossing a line? ), multivitamins (line crossed), herbal supplements (behind enemy lines)... You get the idea. Similarly though, if you continue down this aisle and hang a right, you'll find a section of the supermarket I find particularly grotesque... And believe it or not, it's usually along the perimeter. The section to which I am referring: The 'secondary' cheese/meat section. You know, the one that contains all the goodness *cough* of artificial colours - fluorescent orange cheese, and flavours - smoked or otherwise cured meat. This is definitely a section I avoid like the plague. 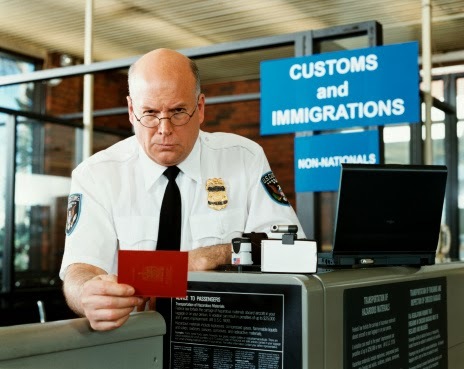 Before you engage in strict border patrol, ask yourself: Is stringently skirting the circumference of the supermarket simultaneously skimping on significant eSSentials?